Putt The Fun Into Golfing With These Great Ideas! Golf is a fantastic sporting hobby that all guys can enjoy. Nothing quite beats the feeling of hitting a hole-in-one or beating your personal record. Although it can be a relaxing hobby, golf can also help you get fit! There are plenty of reasons to enjoy golf, so why not make it even more fun? Sometimes all it takes is some new equipment to get more out of your golfing hobby. You could also get more people involved. 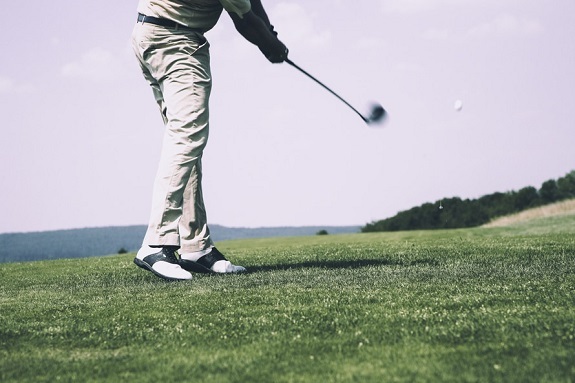 Whether you’re an avid golfer or considering getting into it, here are some of the best ways to have more fun with golf. When it comes to playing golf, your clubs might be the most important thing. You need a set of reliable golf clubs to hit your shots just right. From irons to putters, make sure you have the perfect set. You can always look online for golf club reviews. Reading up on the quality of different equipment can help you choose the right set. But the best approach is always to go into a golfing store and get a club-fitting. That way, you can get clubs that are suited to your swing. Getting a full set can be expensive. It might be something you want to ask your wife for as a Christmas gift! But it’s a worthy investment for getting more out of your golfing hobby. You’ll really feel the difference when you’re geared up with the right clubs. Hitting holes down at the country club with your buddies can be fun. But it’ll get stale after a while. Sometimes, you’ll feel like getting a little more competitive. One fun idea for getting more fun out of golf is to host a local golf tournament. You can get in contact with local golf courses and ask about renting out their fields. You could get your friends involved, or even talk to local businesses and make it a corporate event. You could also involve prizes for extra fun. For instance, you could use custom golf trophies from Premier Trophies. You could even turn it into a charity event! You could promote the tournament to the local community and offer activities and refreshments. You can raise a lot of funds for a charity of your choice by creating a successful charity golf event. Sometimes adding some new tech to your golf activities can make it even more fun. A range of modern technology has improved our relationship with golf. As well as better clubs, there’s also a range of devices and apps to improve your golfing game. Look into getting some top golfing gadgets. You could use sensors which give you information about your golf swing. You could also get a smartwatch which analyses your game as you play! There’s a lot of free smartphone software out there for golf enthusiasts. Look in the iPhone app store and Google Play market for fun golf apps. You can find apps for GPS hole routing, improving your practice sessions, and keeping score easily.